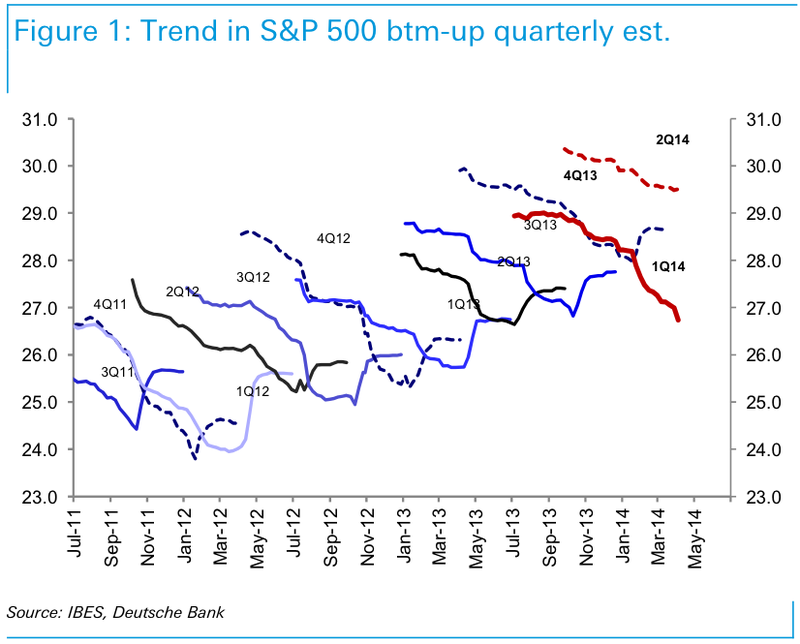 Analysts tend to be very optimistic and expectations tend to be very inaccurate. Gradually revised and reduced. Executives love to low-ball estimates and often they are going to great lengths to underpromise and manage expectations so they can deliver and beat consensus expectations. 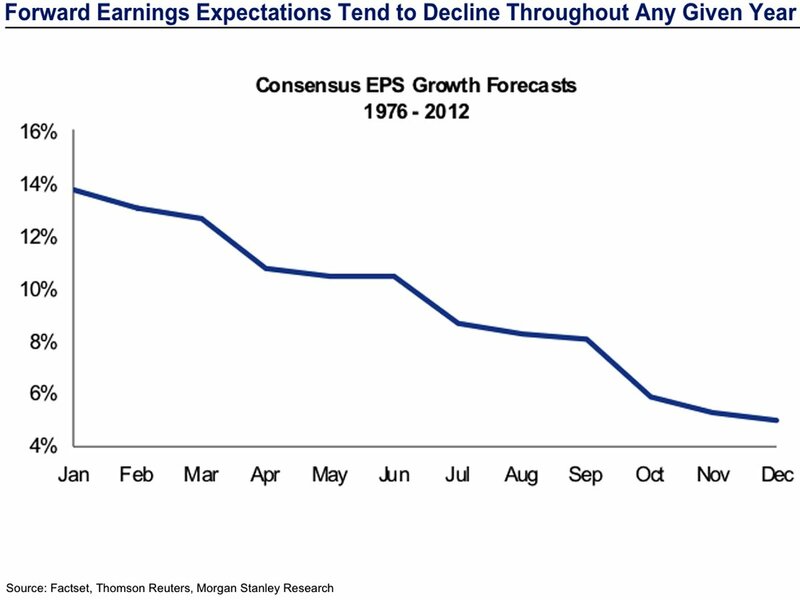 Forward earnings expectations throughout any given year. This entry was posted in Uncategorized and tagged Earnings Revision by brokenmarkets. Bookmark the permalink.